I recently read a book that I can’t unread. Not that I would want to. 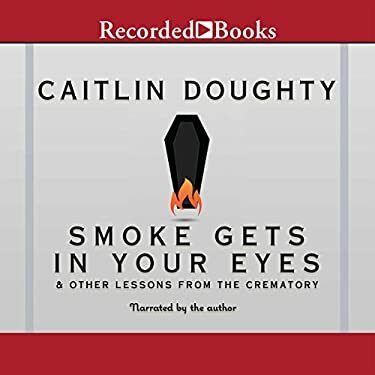 I picked up Caitlin Doughty‘s book after watching a few episodes of her Youtube series Ask a Mortician. 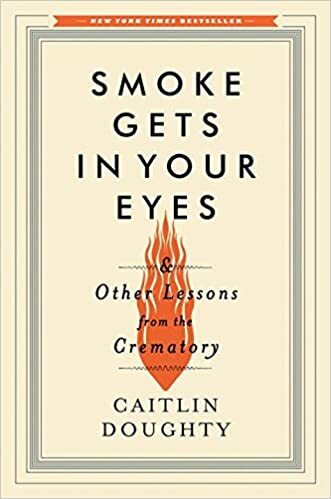 I’d been curious about her for a while and figured her book would help me understand my best friend’s job as a funeral director and maybe give us more to talk about. * Plus, I love reading books that tell me about experiences that are different from mine and this one felt like a great excuse to indulge my curious streak. I loved this book, it manages to be funny and witty and sensitive to its subjected matter all at the same time. An added bonus was the way Doughty talks a great deal about fear of death and how to overcome it. I’m a big fan of facing my fears, I went skydiving to prove that I could conquer my crippling fear of heights, so if reading her book might help me to become even a little bit less afraid to die, it seemed like a great read. So, I picked up her book, Smoke Gets in Your Eyes, and was on my m erry way. Look at the cover, the subtitle is so small you can read it in public without anyone batting an eye! It’s only the subtitle that’s scandalous or macabre! Beware if you order WPL’s large print copy though, the cover is a bit mo re obvious with a big urn on it! Actually, the covers of different editions vary wildly and I think I got the most sanitized version when I checked out the book. Just look at these other covers, they get less and less subtle! 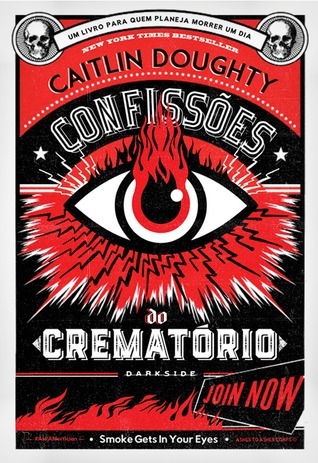 Is anyone else wondering about the origin of those ashes? I joke but, truly, this book came into my life when I needed it. 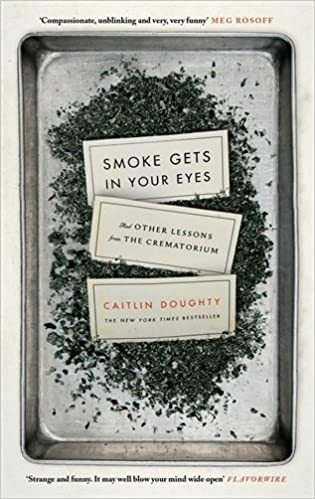 I’ve always When I was in the middle of the book, learning about funeral practices, embalming, and what Doughty describes as a culture that distances us from death and dying to our detriment, my grandfather died. And suddenly the book became real for me. My grandfather’s death wasn’t a great tragedy. He was 86 years old and his health had been failing for some time. He was no longer himself and death was a release for him. But for me, and many of my other family members, it was a time of regret. I regretted not having a closer relationship with him and found some comfort in the fact that I’d visited him a few times shortly before his death. 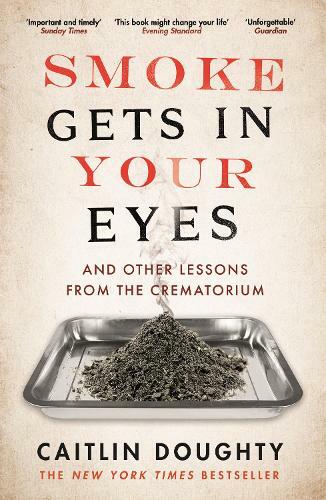 It was also a time to confront the reality of mortality and Doughty’s book helped me. I don’t know that I’d have picked up her book immediately after the loss of a relative had I not already been reading it but it was the right book at the right time for me and so I’m profoundly grateful for it. So, here I am, using this book as a reason to start an ongoing blog on books that have changed my life. I very much enjoy sharing about what I read and this seemed like an excellent excuse to start writing and sharing. I hope that, if it’s of interest, you’ll check out a copy of this book, or share in the comments some examples of books that changed your life. Books are wonderful and this is just the first example I’ll be sharing as I regularly blog about books and the impact they’ve had on my life. *It may not be possible to find two people less in need of conversation starters.